Naila Script is a brush and script handmade font family created and published by Leonard Posavec, a freelance graphic designer from Croatia. 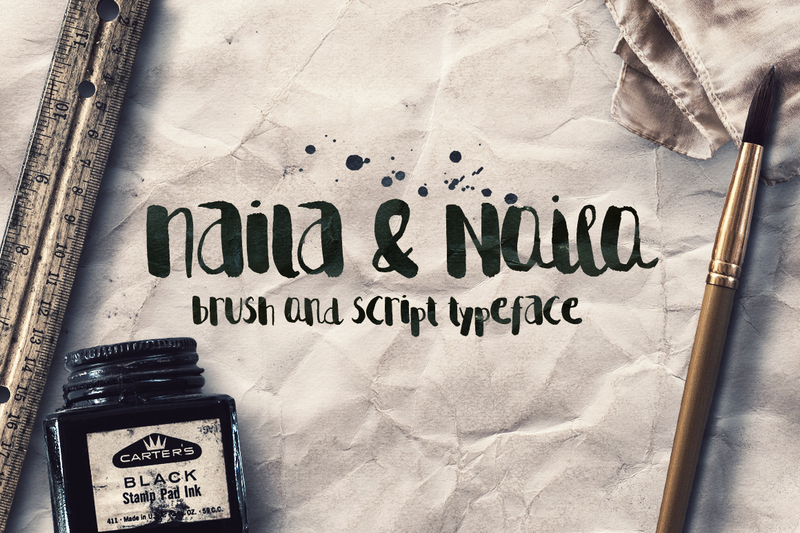 Featuring two fonts perfectly suited for each-other, a brush and a script, Naila Script is ideal for your handmade imperfections needs. Get your design projects nailed with Naila! A font description published on Thursday, April 14th, 2016 in Fonts, Leonard Posavec, LeoSupply Co by Andrei that has 2,466 views.